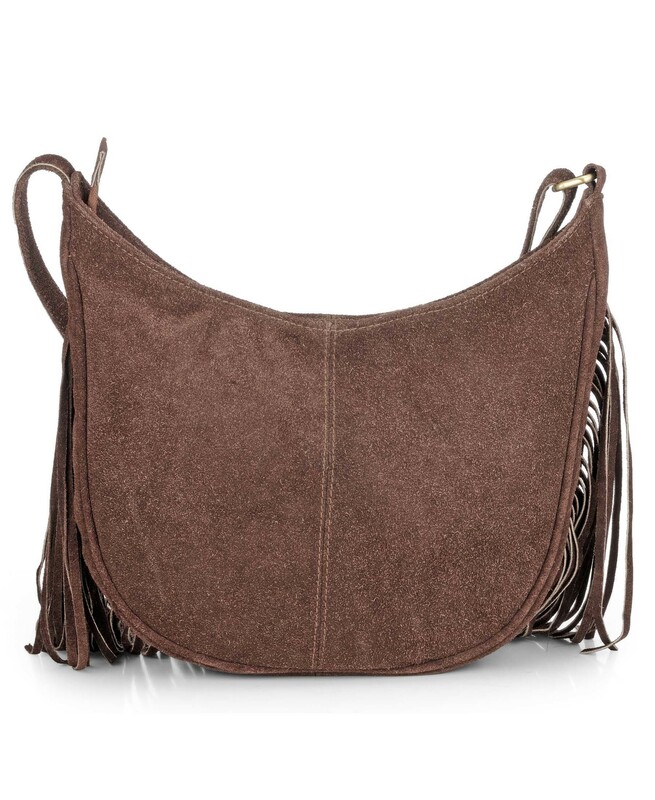 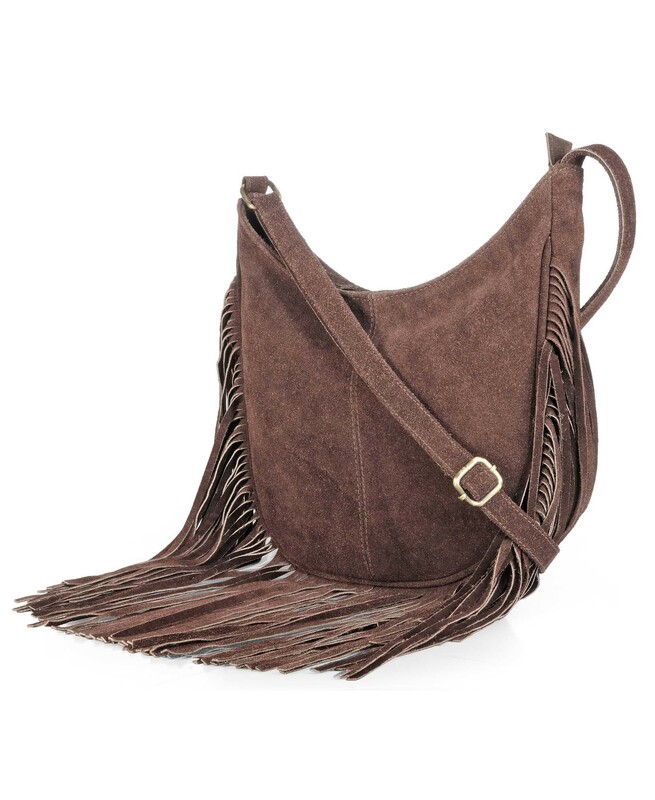 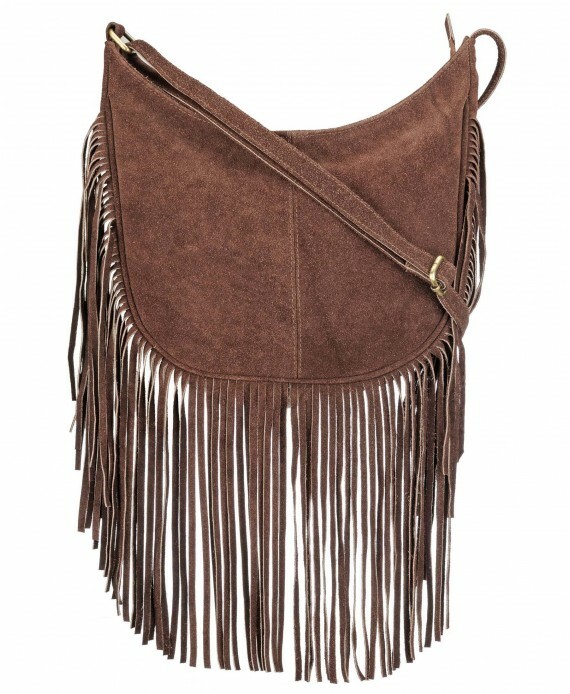 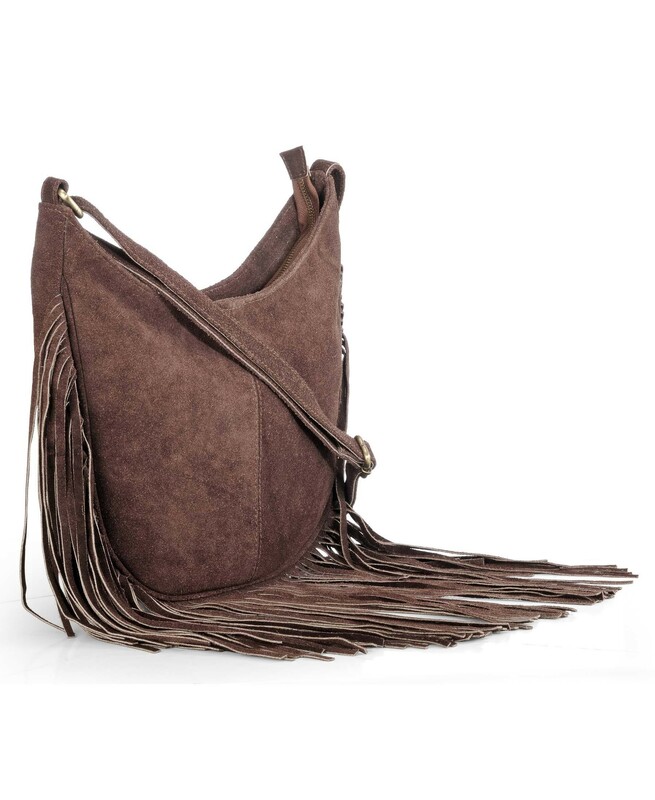 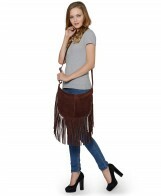 Fringed cross body bag made in Genuine leather suede with an adjustable shoulder strap having a maximum shoulder drop of 29 inches. Fringed cross body bag made in Genuine leather suede with an adjustable shoulder strap having a maximum shoulder drop of 29 inches. 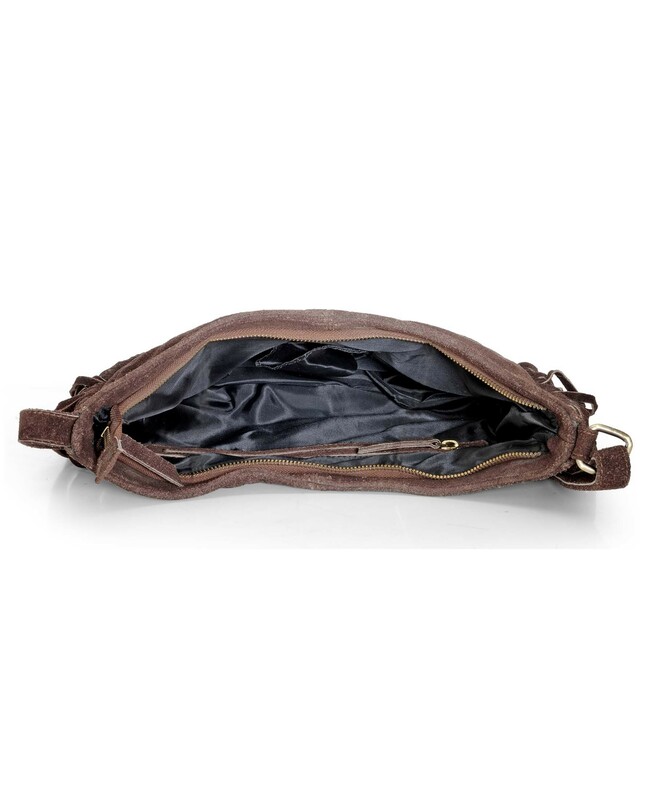 The bag has a high quality metallic zip for closure. 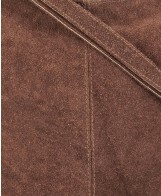 It has a polyester lining with a zip pocket and a mobile pocket. Dimensions: 11.5 inchesx11.5 inches (at the maximum point without fringes) x2 inches (WXHXD). 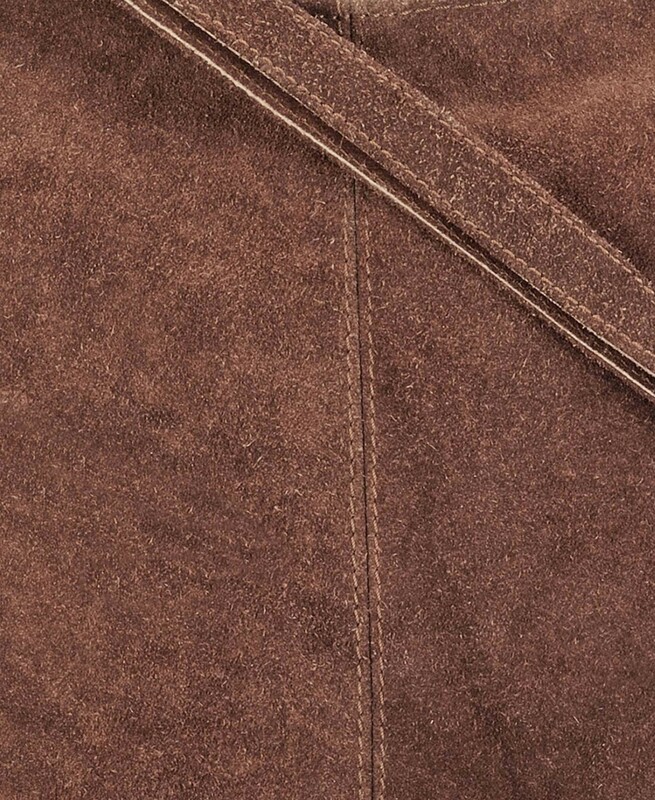 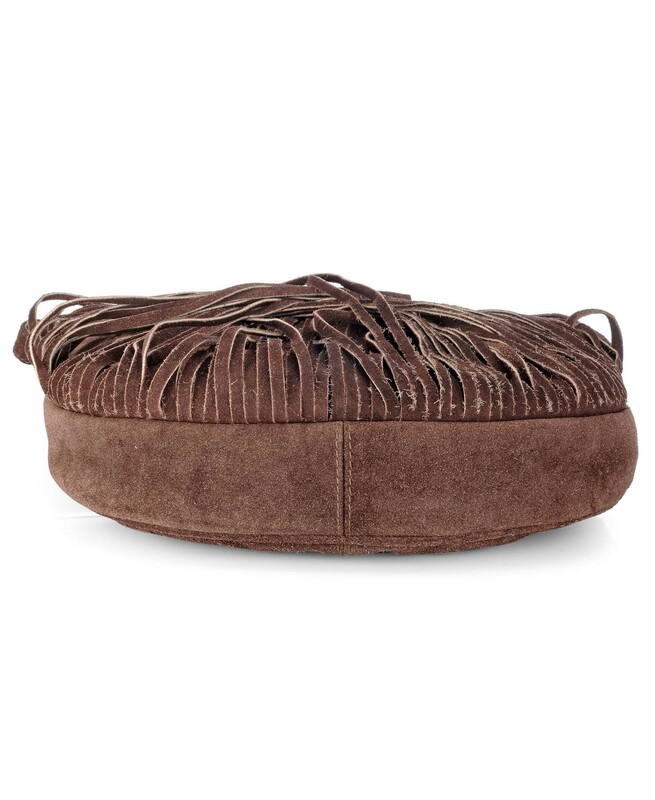 Made in Genuine Leather Suede. Polyester inner lining with a zip pocket and mobile pocket.